We are a 5th grade class in Arizona, USA. It doesn’t matter if you win; it only matters if you have fun! Always try your best, and never never give up. There’s no ‘Draggin’ in 5th Grade. 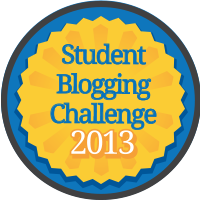 Thanks for registering for the September student blogging challenge. Make sure you visit the blog every week beginning September 12, when the first challenge will be published. If you want a reminder sent to your email each week, use the “Subscribe by email” on the right sidebar of the blog. 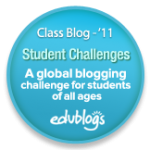 Also make sure you visit blogs from other classes around the world. As a teacher, I really loved to read the thoughtful comments that you have made to students in other countries. 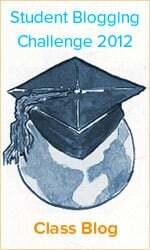 It has given me an idea to get my students blogging with their epals in the country of Georgia. Come and visit our site and see some of the “snail mail” letters that we scanned and the movies that we made. Perhaps later in the year our students will come back and comment on your site. Love the dragons!